KOLING LLC, a housewares and home decor company located in New York, is a company with an imagination, habitually bringing to the market thought provoking, original products. 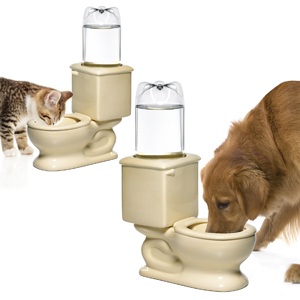 KOLING introduced the humorously original product, The Dog/Cat Toilet bowl. KOLING creates its own original glassware sets including: Ovenware, beverage sets, barware, table top serving pieces, as well as storage bowl sets-all different size sets. KOLING will continue the legacy of introducing smart, useful and interesting products into the marketplace.